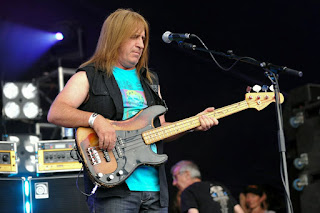 Trevor Bolder, an influential force in the rock and metal world, passed away yesterday at the age of 62 from pancreatic cancer. After being fortunate enough to meet Uriah Heep at a concert two years ago, I stared shocked as a blogger friend, Gogmagogical, tweeted me the news and wondered what the band would do without one of its longest standing members. Is soldiering on even an option at this point? 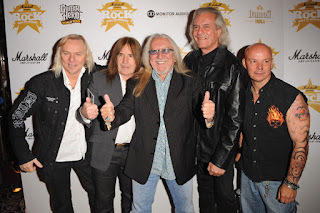 My biggest fear is that Uriah Heep will collapse while searching for the right member to fill the line-up. Although Russell Gilbrook is a relatively new addition--2007 being his year of entrance--you'd be hard-pressed to find a discernible difference in the music, aside from more complex percussion rhythms. With Bolder's passing, a replacement isn't a particularly feasible task or a desirable one at that. 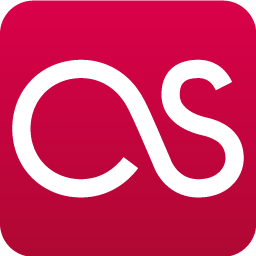 When an act has been comprised of the same stable membership for years on end, the material begins to feel like a familiar friend, with an accepted and expected sound emerging from each album. Without Bolder, and assuming Uriah Heep push for another record release, I predict a change in musical aesthetic, no matter how little. Bolder's contributions to Uriah Heep as a writer were admittedly not many (especially in the beginning), but he seemed to take initiative in recent years, composing three songs on Sea of Light, five on Sonic Origami, "Angels Walk with You" from Wake the Sleeper, and "Lost" from Into the Wild. Each instance afforded him with the opportunity for personal expression and welcomed him to the fold as an undoubtedly talented scribe. Bolder's subdued and discretely technical bass lines will always be his draw, however, and the character he brought to the table proved to be one of the best decisions Uriah Heep ever made in terms of personnel. The loss of a member for various reasons--death, a desire for a different musical direction--has been an all too common occurrence lately. We all mourned Jeff Hanneman's surprising passing at the beginning of the month. Queensrÿche split from perhaps the biggest prima donna in all of rock, Clive Burr lost his battle with multiple sclerosis, and Mark Reale succumbed to Crohn's disease last year. Fact of the matter is, our favorite artists, often with storied legacies, are growing older and are not immortal as their music might make them seem. Or they are becoming lunatics as they crawl up the ladder in age. Geoff Tate, I'm looking at you. Despite sitting the majority of Abominog out, and playing on Head First without credit, Bolder's trademark bass-clank has underpinned Uriah Heep's music since 1976. His rare contributions as an energetic, creative writer and reputation as a genuinely nice guy will be missed if the band chooses to push onward. David Byron's sack from Uriah Heep was clearly the biggest blow in regard to integral membership, but Bolder, based on tenure, has arguably been more important.